Age of Empires II, together with its expansion pack titled ‘The Conquerors’, is the second installment of the eponymous winning-award personal computer video game franchise developed by Ensemble Studios for Microsoft. Age of Empires II, often abbreviated to AoE II or AoK (referring to Age of Empires II: The Age of Kings, the sequel to the 1997 critically acclaimed Age of Empires), is a real time strategy-based video game released in 1999 for both Windows and Macintosh platforms. It is focused on the medieval era, with 13 unique playable civilisations. The player must advance from the Dark Age to the Feudal Age, the Castle Age and ultimately to the Imperial Age, on a time frame of roughly 1,000 years. The Castle Age is the in-game correspondent of the High Middle Ages, whereas the Imperial Age is the virtual counterpart of the Renaissance. In the initial Age of Empires II: The Age of Kings there are five campaigns focusing on the Mongol invasion of Eurasia, the Crusades, as well as on the fates of William Wallace and Joan D’Arc. The game came with many improvements compared to its predecessor that was released in 1997, including unit garrisoning, idle unit button, improved graphics, new random map game modes (i.e. regicide or real world), and the soundtrack. Its expansion pack, The Conquerors, was released in 2000 and came with 5 new playable civilisations. In addition to the Spanish, Huns, Mayans, Aztecs or Koreans, the expansion pack included new historical campaigns as well. Both the initial game and its expansion were quite well received by critics and fans alike. The Age of Kings scored 92 out of 100 points on Metacritic, 4.5 stars on AllGame and 9.1 on GameSpot. It also won GameSpot’s 1999 strategy game of the year award. In early 2013, Age of Kings together with its expansion pack The Conquerors were remastered in an HD edition. The high-definition remake was designed by Hidden Path Entertainment. It comes with a full set of improved graphics, the widescreen support as well as a brand new multiplayer set of options through Steam. 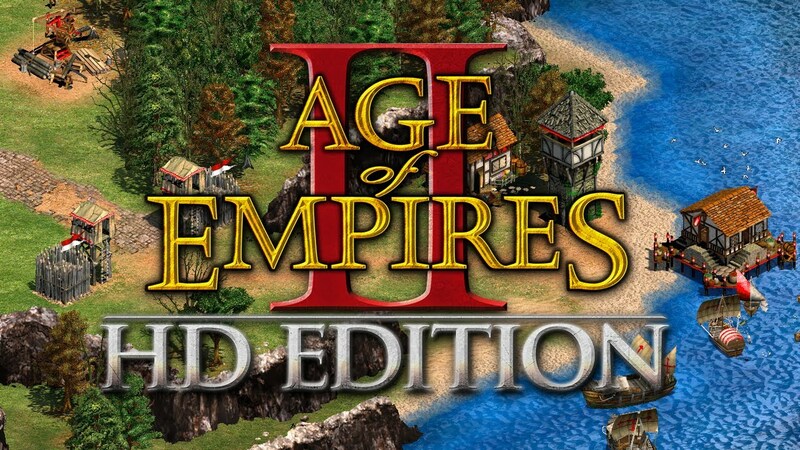 Below you can watch two video reviews on the HD edition of Age of Empires II.